Eastwood Town have been plunged deeper into crisis after the local council closed their Coronation Park home. The bailiffs were sent in due to reported debts of £45,000, with Broxtowe Borough Council stating that the club had failed to pay its rent since 2011. The closure of their ground leaves the very existence of the club hanging in the balance, with The Badgers scheduled to host Kidsgrove Athletic this Saturday (January 25th). It looks highly unlikely that the game will now take place. Eastwood are rock bottom of NPL Division One South, and have been on a downward spiral for a while now, enduring back-to-back relegations already with a third on the cards, assuming they even see this season to a conclusion. The only options now for the club are to either pay the outstanding bills, or to try and arrange an emergency groundshare at three days notice before this weekend’s game. This is something that the league would have to sanction, which in my opinion is very unlikely to happen. In a statement, the council say that the club owe £45,135 with £26,000 of that being business rates. These debts date back nearly three years which, to be fair to the council, show a willingness on their part to give the club every opportunity to continue operating. It seems they have given Steve Lynch – the club’s owner – more than enough time to sort things out. This whole mess is completely unforgivable. The fans don’t deserve to see their club humiliated like this. For Steve Lynch to seemingly completely ignore his financial commitments as the club’s owner is arrogant in the extreme. Why does he think he can get away without paying the bills? The fact that the council have been so lenient is testament to their commitment and efforts in trying to keep the town’s football club going, but enough is enough. They have every right to take action against the club, but it is not the fan’s fault. And yet it is always the fans that have to live with the actions of careless owners and chairpeople. 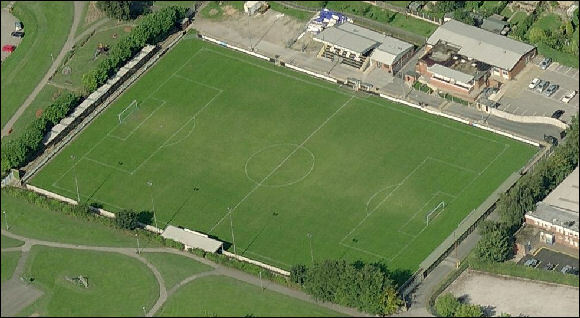 A groundshare for me is out of the question. For a start, why would any club agree to allow one that has not paid its rent for three years play at their stadium? They would – probably rightly – fear that they would never see a penny of the agreed fees for such a co-habitation. And why, for similar reasons, would the league sanction such a move? Unfortunately, I can only see this ending one way for Badgers fans, and that is with their club being expelled from the league. If they fail to fulfil their match with Kidsgrove, then a fine will be imposed (although it probably won’t be paid! ), and with four home games scheduled for February, things are not going to get any easier. We have seen far too many of our nonleague clubs die because of owners and chairmen that just don’t give a damn about running them properly. The list goes on and on. Unfortunately, I think we could well be seeing the name of Eastwood Town added to that list. Posted on January 22, 2014, in UTL Archive and tagged Coronation Road, Eastwood Town. Bookmark the permalink. Leave a comment.